When I am away from home, I sorely miss my garden. 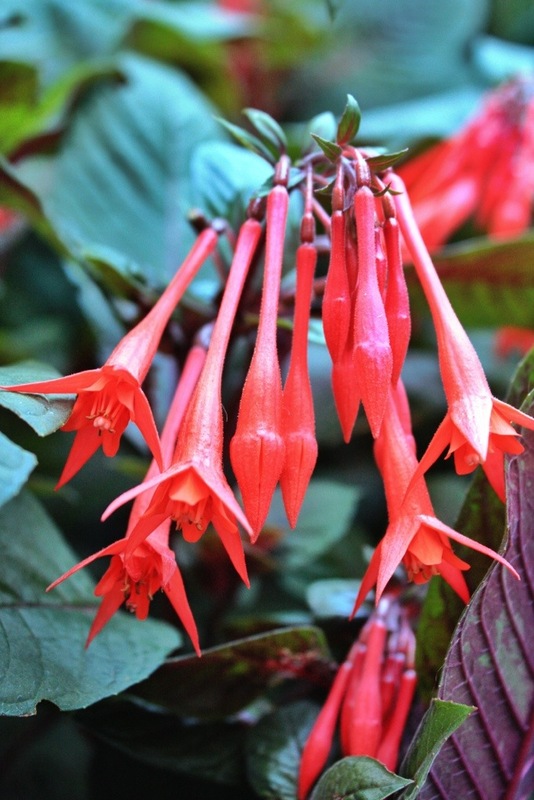 Here’s one good reason why, the scarlet shooting stars of Fuchsia ‘Gartenmeister Bonstedt’. Just three small cuttings planted in spring were almost a metre tall by the time I left home, covered in iridescent bronze leaves and bunches of long tubular flowers. Who needs to visit the tropics when there’s exotica like this to enjoy at home?